Dryfruit is one growing segment due to growing demand of health conscious and nutritious food. As per the industry report, this segment is currently pegged at Rs 15,000 crore and should be touching Rs 30,000 crore by 2020. So far, dryfruits are primarily sold either by wholesellers or unorganized players. However, with high disposable income levels, better availability, right packaging, consistent quality, adequate product communication (labeling) and newer products this category is not restricted to offline distribution. In fact, it is one of the fastest growing categories in online space. Online channel allows direct connect with consumers; hence, shortening the product delivery cycle. Since, dryfruit is a very delicate item so selling online comes with its own challenges. Let’s shed light on journey of few such e-retrailers. Sudeep Bhati who is the founder of dryfruithub.com was into wholesale business almost for 25 years. His wholesale business was restricted to B2B sales and this model was not allowing him to garner his exclusive consumer base, same time he was not financially prepared to have exclusive offline distribution. Thus, he chose online distribution with the launch of dryfruithub.com. With his exclusive online channel he is doing business worth 16 lakh per month and has a huge consumer base of repeat customers. Speaking on initial challenges Bhati said, “I used to get many complaints from customers side for receiving broken products. During the initial years of business, I had suffered a huge loss due to poor logistics and packaging.” Gradually, he opted for third party logistics solutions and improved his product packaging. So far, he has invested about 10 lakh in his business so far and has become profitable already. Zain Virjee, Founder of dryfruitmart.in also the founder of Pumkin seeds India started offline distribution of dry fruits since 2014, while working in offline model he created a good association with importers and to leverage from his network he founded dryfruitmart.in last year. Highlighting the challenges Virjee asserts, “The major challenge in this advanced world is logistics and shipping. The customers’ needs quick service whereas there are days and events when the process turns slow. Every Step, growth and achievements teach us something. We have learned that let the quality be standard and prices be reasonable you will definitely capture the market. Keeping the best interest of customers in our planning is our first concern." He also informed that with each passing month the company is registering the repetition of 30% orders. The company is going to start its offline distribution by its private labels for Godrej's Nature's Basket and HYPERCITY. The company will start its franchise distribution in few cities including Indore, Bhopal,Pune,Mangalore. Highlighting the challenges, Dinika Bhatia, CEO and Founder, DRB Foods which runs nuttygritties.com said, “ Every business comes with own challenges, but we love doing it, and you can never go wrong in doing what you love doing.” nuttygritties.com is operational pan India and also supplies its private label to modern retailers. DRB foods started its online distribution in 2012 and prior to that it was operational in offline space, mainly by providing its products to modern retailers. Online space gave them an opportunity to reach out the customers directly. Online distribution has opened the market of many exotic dry fruits which are not well reckoned in Indian market so far. Speaking on same, Bhati informed, “ I sold about 100 products in about three categories, but exotic products such as pumkin seeds, yellow khajoor are generating a lot of traction.” Bhati also informed that he receives maximum demand from tier 1 market. 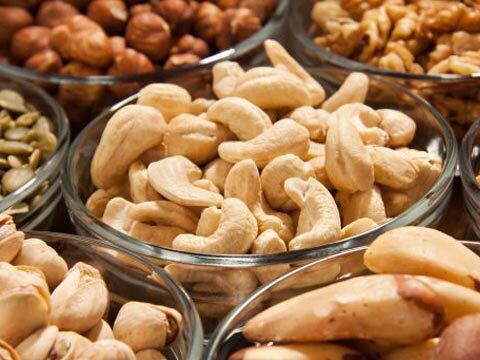 Speaking on same, Virjee said, “Pumpkin seeds, brazilnuts , chia seeds, sunflower seeds and pecan nuts are few highest traction generating products. Not only metro cities, we are seeing a lot of demand of these hard to find products in tier II market as well.” Overall, the company has the assortment of over 100 plus products. The company uses social media posts educate customers about health benefits of dried berries , exotic nuts and healthy seeds. The company is also a semi importers of exclusive nuts, seeds and dried berries . “We are associated to all the import sources in the country which helps to set the best cheapest prices around. We have self-own warehouse model. . We have brands approaching us for selling their products , we might start with brands which have good quality exotic products,” Virjee said. No doubt, dry fruits is an emerging category in the online space. Online is turning lucrative not only for small players, even retail power houses are looking to tap this channel. Last year, Kishore Biyani led Future Group had launched new branded called ‘KARMIQ’. Variety of fruits and nuts are retailed under this label. The company is poised to start the online distribution of this brand shortly.